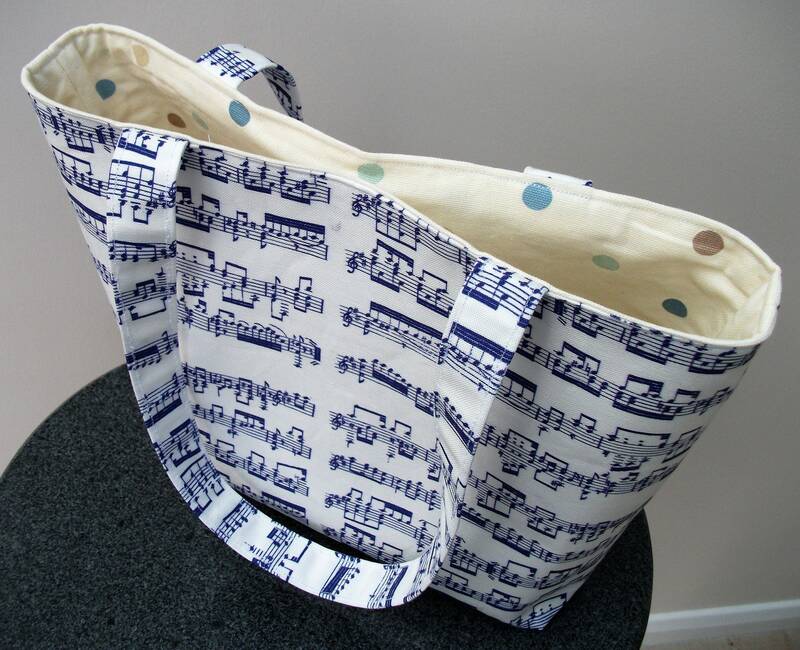 This is a very eye-catching, practical small shoulder bag made from high quality linen fabric. 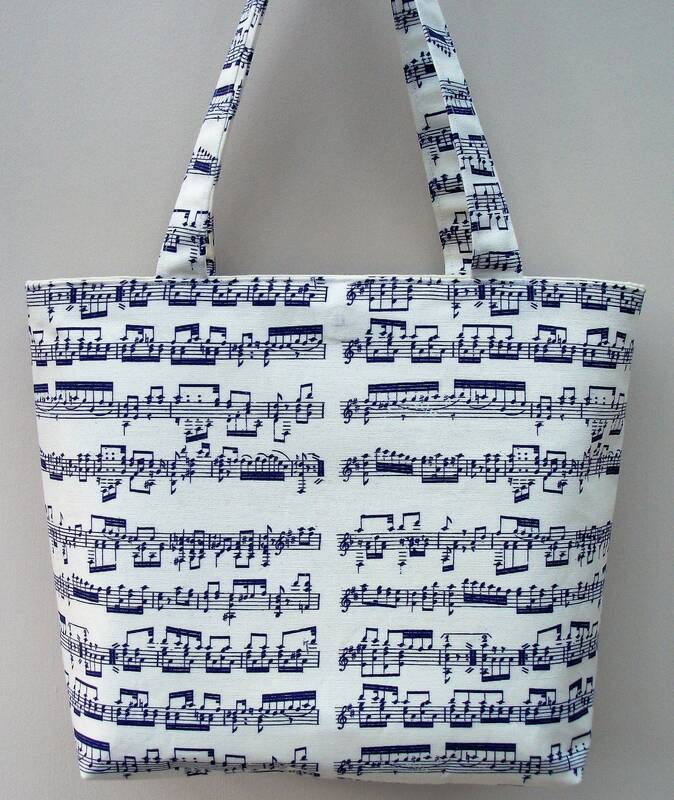 The music extract is a genuine excerpt from Mozart's "Eine kleine Nachtmusik", making this a lovely gift for any music lover, musician or music student. 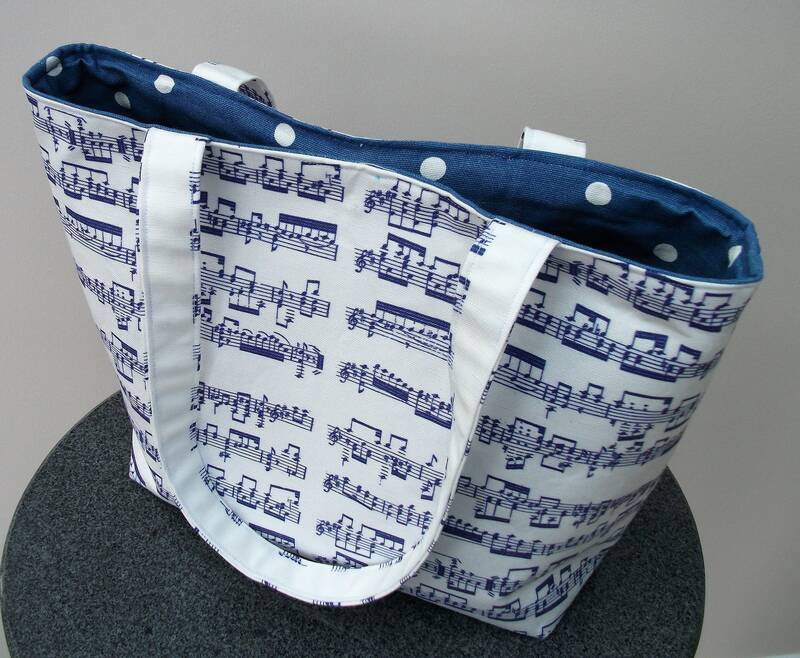 The bag is lined in a contrasting lining in a cream spotty cotton fabric and interlined with a Heavyweight interfacing to give the bag strength and body. 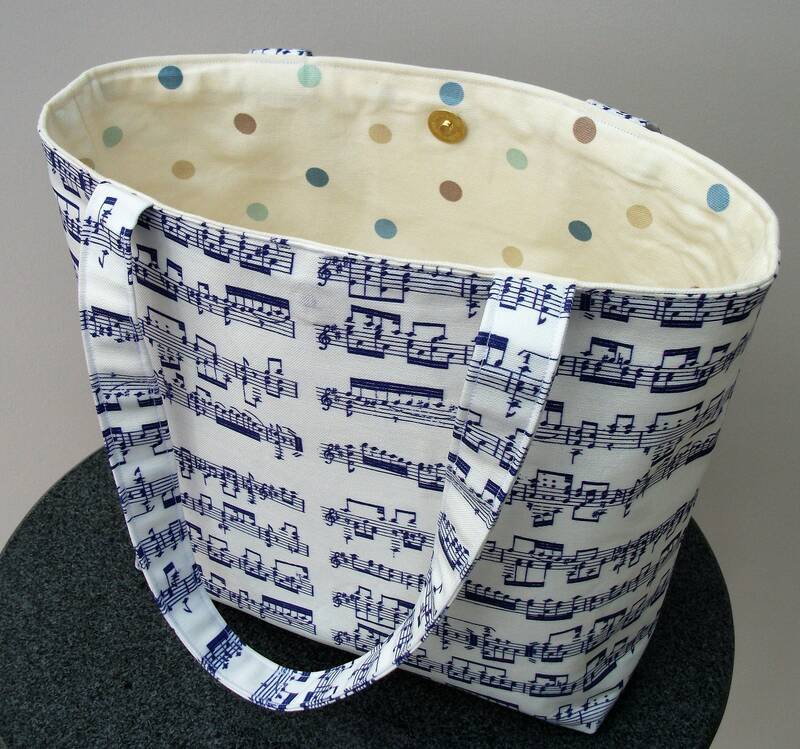 It can, therefore, be used for carrying a tablet or small laptop, books, music or for small items of shopping. 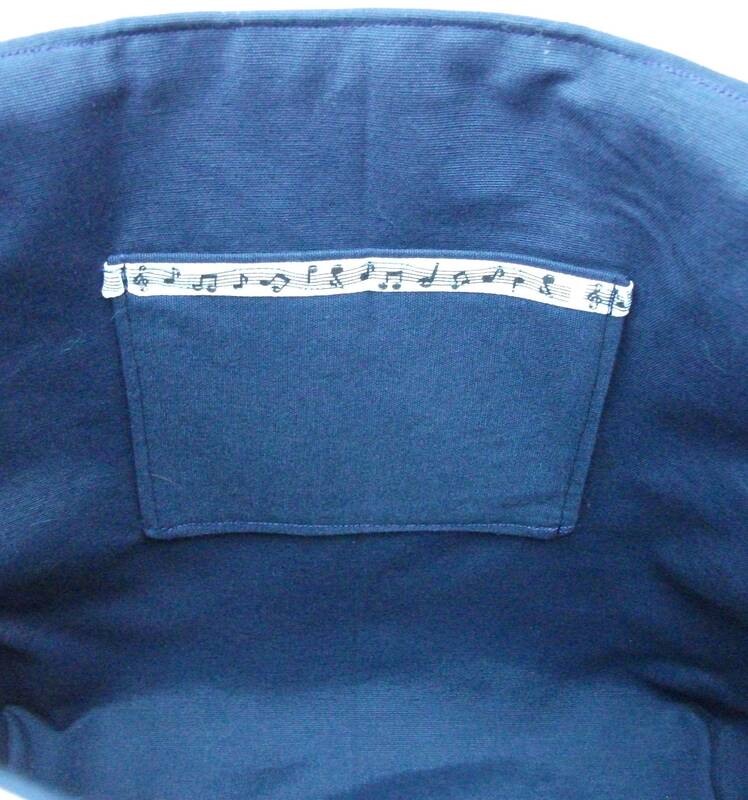 There is a small pocket inside to hold a mobile phone, keys, change purse or keys. 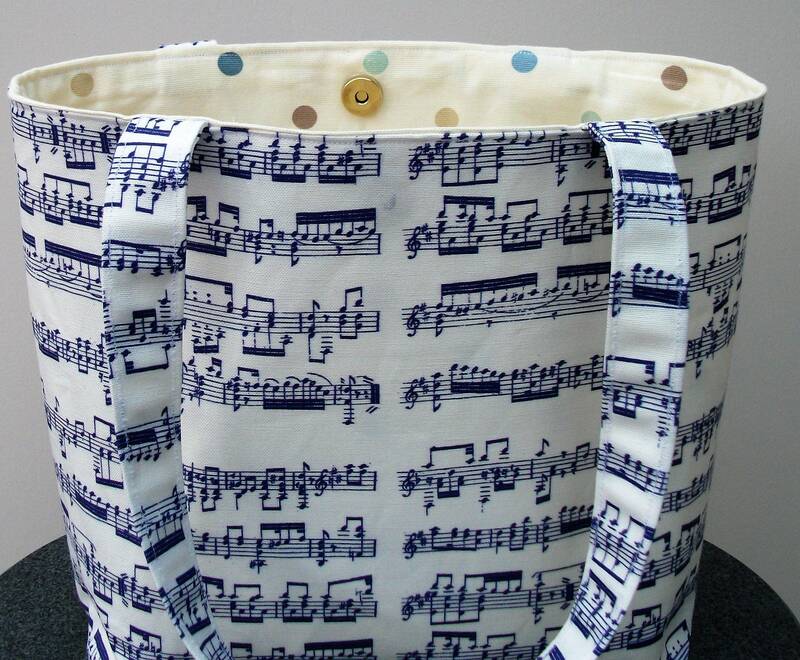 It also has a magnetic metal fastener to hold the top of the bag closed to prevent items falling out. 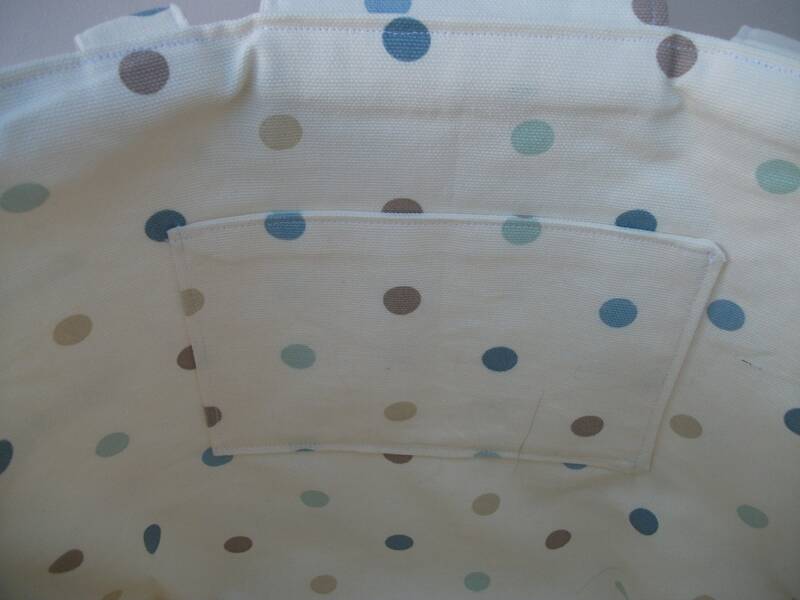 There is a choice of lining fabric - cream with spots, blue with white spots or plain navy fabric. Please state lining choice at check-out. It is also available with a matching purse. 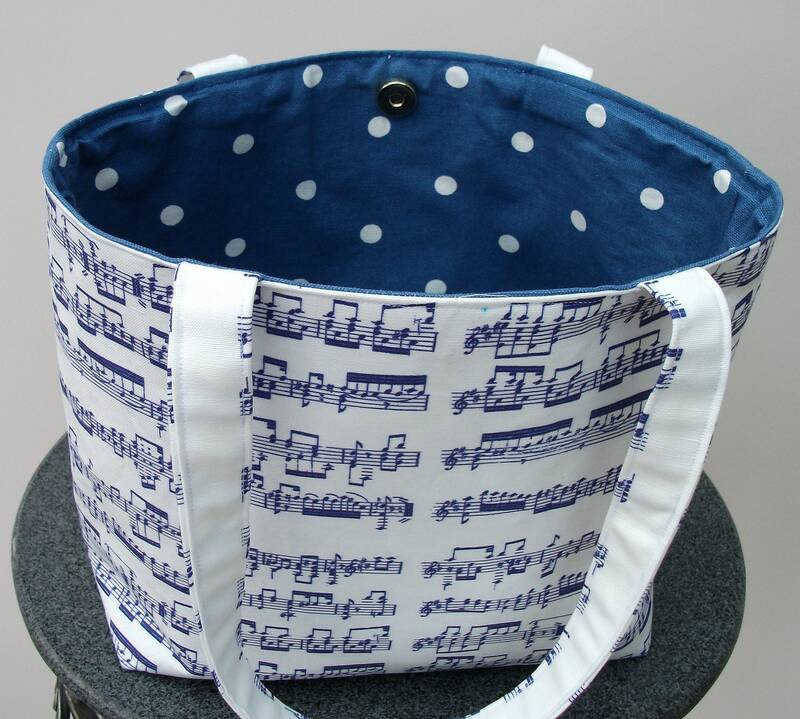 This is made from matching music fabric with the same colour lining fabric as the tote bag and all finished off with a zipper. 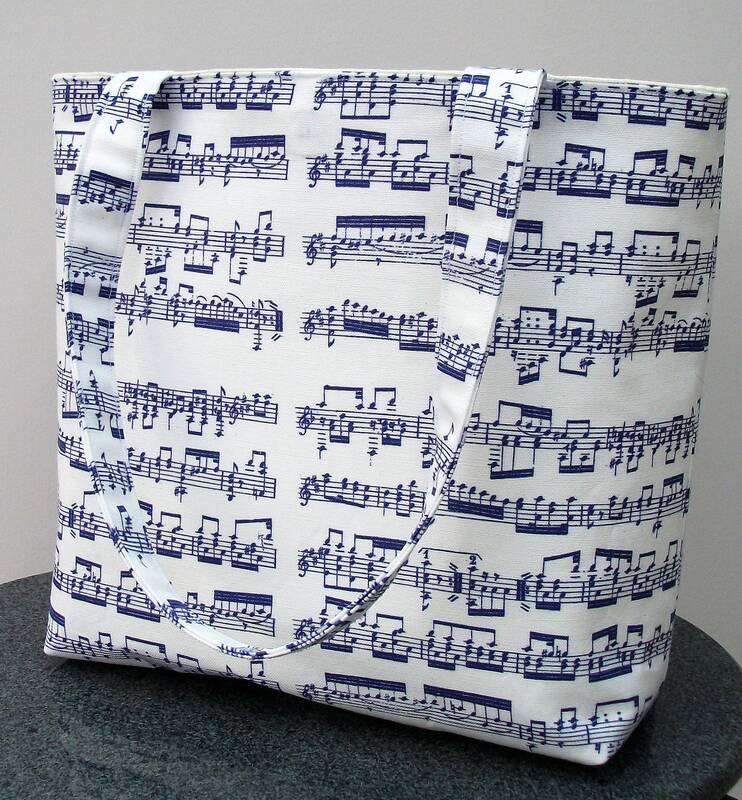 The small purse can be used as a coin purse, a tuning key holder, a make up purse or to stash your chocolate store ! The straps are 23 inches or 58 cms long so the bag can be carried comfortably as a shoulder bag. 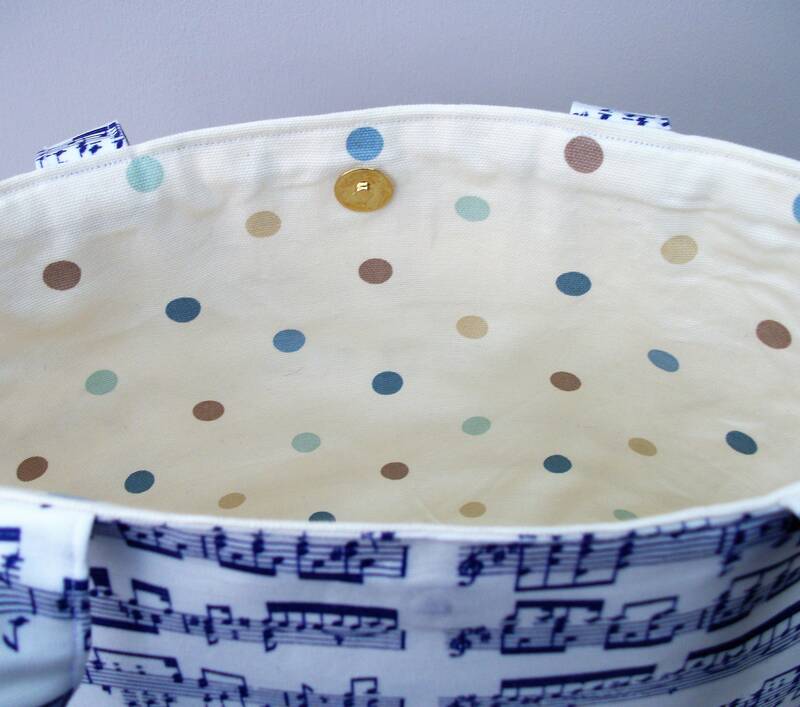 The handles are made from quadruple thickness fabric for strength. Measurements : height- 10 inches/26 cms. Depth- 4 inches / 10 cms. Handle length 23 inches /58 cms. Width : 7.25 inches/18.5 cms at widest point. Depth - 2.5 inches /6 cms. Please note: Pattern placement may vary. Sent this as a birthday gift to an adult piano learner. She totally loved it and said it so well made. (She has high standards too) The company made the bag with the colours I requested and sent it first class. They were excellent to deal with. We are in New Zealand and it was easy having it sent from UK to London. Cost wise it worked out too with no postage. 5 stars. We highly recommend them.